Thank you for your support during this difficult time. Please enhance this tribute to Lois by adding your memories and photos. 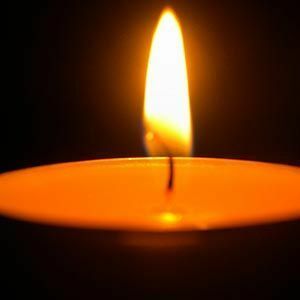 Lois Hiott Sturcken, 83, of Charleston, South Carolina, wife of James J. Sturcken entered into eternal rest Saturday, March 30, 2019. Her Funeral Service will be held Friday, April 5, 2019 in St. Matthew's Lutheran Church, 405 King Street at 11:30 a.m. Burial will be private. The family will receive friends Thursday from 4:00 p.m. until 6:00 p.m. in J. Henry Stuhr, Inc. Downtown Chapel. Lois was born January 6, 1936 in Charleston, South Carolina, daughter of the late Joseph Sleather Hiott and E. Florine Hiott. She was a graduate of Rivers High School. Lois was a lifetime member of St. Matthew's Lutheran Church where she loved to volunteer. She enjoyed gardening and reading and spending time with her family and friends. Lois is survived by her husband of 57 years, James J. Sturcken; daughter, Laura S. Dietrick (Scott L. Dietrick) of Mechanicsville, VA; son, Paul J. Sturcken (Candace W. Sturcken) of Taylors, SC; and four grandchildren: Emily R. Dietrick; Corporal John T. Dietrick, USMC, H. Brooks Sturcken and W. Trace Sturcken. She was predeceased by her brother, J. Sleather Hiott, Jr.
Memorials may be made to St. Matthew's Lutheran Church Outreach Center, 405 King Street, Charleston, SC 29403. I enjoyed knowing Lois through St. Matthew's. What a delightful person! You all are in my thoughts and prayers. A passing is never a day of joy but memories remain and my grandfather always told me as long as one person remembers someone they are not gone. Share your memories, photos and feelings to keep her in your lives. Prayers and hopes for beautiful memories. Our love to Lois's family. She was a fine Southern woman who loved her family. May she Rest In Peace. Life Stories provides friends and families a forum to post their favorite stories and memories of Lois Hiott Sturcken ensuring the precious experiences are never forgotten. Share joyful times, post a photo that captures the moments you cherish, and allow others to reply, relive and remember.